Signature line: Go out hard, when it hurts speed up! Lung capacity: 90.2 VO2, recorded 9/13/90 at the Olympic Training Center in Colorado Springs, CO at an altitude of 6,100'. One of the highest known VO2s recorded by a runner (average rate for non-athletes is 44-51; average for athletes is 60-84). This is a measurement of the bodys ability to deliver oxygen to the muscles. More test info: Treadmill protocol - 345 meters/min (4:40min/mile) starting at 0% and increasing the grade 1% every minute. I lasted 5m44s. Weight 55.7Kg (122.8 lbs). Max HR - 187. Max blood lactate - 13.8mmol. In 1994 my VO2 tested even higher (94.9) in Italy which was only logical since the test was done at sea level. However, they claimed their instruments must have been broken and therefore I go with the 90.2. DNFs: 1 - I hosed my ankle and broke a bone in my foot (Jones fracture) while leading a 10K cross country race in 1993. I got up and tried to run again but when I put weight on my foot I fell even harder. Ended up being carried off the course. DQs: 1 - While leading the 2004 US 10K trail championships in Vail, CO, I missed a turn that was not marked near mile three. This cut off a loop and therefore I ran around the finish line to DQ myself. Drugs/Alcohol/Tobacco: Snuck a puff on a cigar when I was a kid and got sick. Never tried smoking cigarettes or anything else. Never chewed tobacco. Never drank alcohol, not even a beer. Never taken recreational or performance enhancing drugs. Illegal or not, banned or not, in competition or not. Longest running streak: 5 years, 58 days and counting. My current streak of runs of at least 1 hour a day started September 1, 2012. 2nd longest streak: 5 years, 57 days. May 12, 1997 - July 9, 2002. Ended when I did a 78 second run (timed) to celebrate my daughters birth at 7lbs 8ozs! I then walked around for a half hour feeling happy/scared/hopeful/giddy/worried/excited that I had a daughter:-) I have also had a couple of multi-year and many year+ running streaks. Most satisfying running accomplishments: (Date order) Winning my first Pikes Peak Marathon 1988. Getting to and finishing the USA Olympic Marathon Trials in 1992. 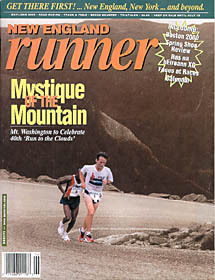 Setting the Pikes Peak Ascent and Marathon records in 1993. 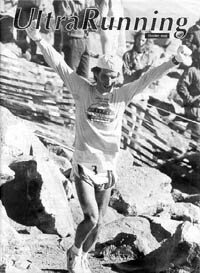 Winning the SkyRunning series in 1994. Cofounding the Incline Club in 1997. 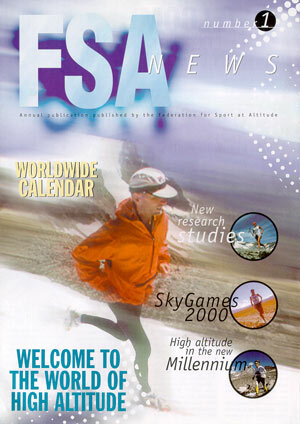 Setting an altitude marathon record in 1998. Cofounding the Barr Trail Mountain Race in 2000. Pulling off the Pikes Peak Double win in 2001. Setting the Lake City 50 mile record in 2004. Setting the Leadville Trail 100 record in 2005. This article in Running Times in 2007. Going sub 90 for the Barr Trail Mountain Race in 2007. 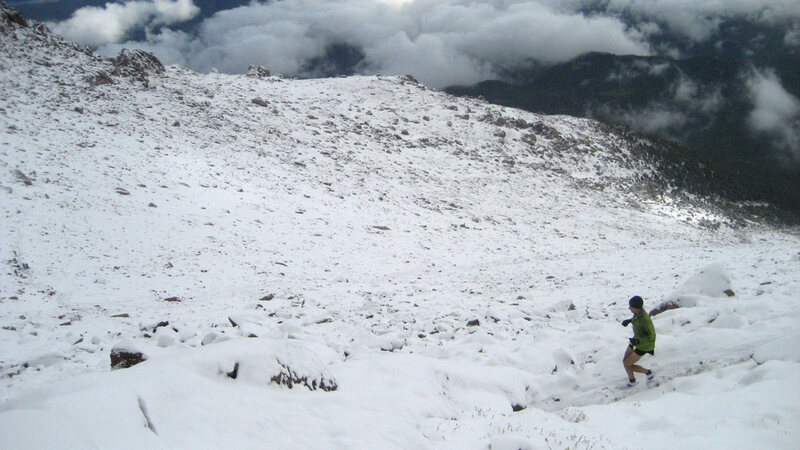 Breaking the 31 year old Mt Evans Ascent record in 2008. Winning the North Face Endurance Challenge 50 in 2008. Winning a 6th Pikes Peak Marathon in a row in 2011. 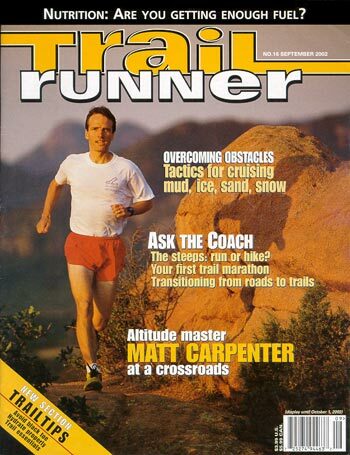 Since 1986 Matt has been one of the premier mountain runners in the United States and is considered by many the best high altitude mountain runner in the world. Matt is the current course record holder of the Pikes Peak Ascent and Marathon with times of 2:01:06 and 3:16:39. 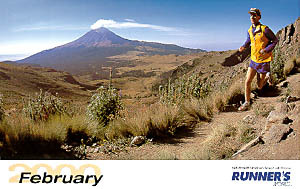 In 2001 he became the first person to win the Ascent and Marathon on back to back days. He repeated this feat in 2007. He is also the record holder of the fastest times for a flat marathon held at altitude - 2:52:57 at 14,350' and 3:22:25 at 17,060'. In 2004, at his first 50 mile race, he broke the course record by over 40 minutes. 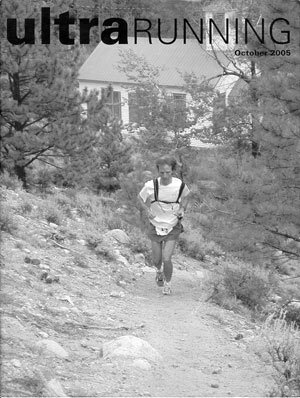 At the 2005 Leadville Trail 100 he lowered the course record by over 90 minutes to 15:42:59. At 44, Manitou Springs high altitude trail runner Matt Carpenter is setting records at dizzying heights. Interview by Ryan Warner of Colorado Public Radio. 8/11-12/09: Colorado Relay  38 miles in 5 legs. #5-5.8 miles, #8-12.9, #12-4.7, #19-10.8, #25-3.8  1st place team in non-conformist category (most popular category). Our 6 runner team was 2nd overall vs a 10 runner team in the open category. 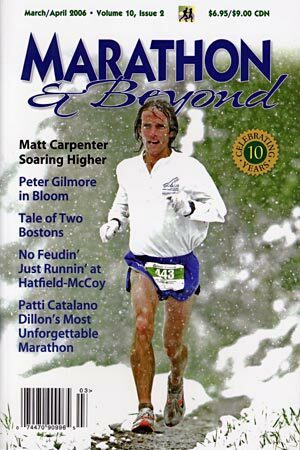 11/04/05: Nominated for USATF Mountain Runner of the Year and Masters Mountain Runner of the Year. Sent this to the USATF when asked for a summary for the judges. 9/10/00: Worlds in Germany  63rd place in 55:56 (1st was 47:29)  Someday Ill write about this disaster but not for years to come! 8/12/87: SNUG/KZYR Mt Bike Race Series #6, Edwards June Creek Jump, 3 laps of 5.8 miles  7th place in 1:44:06 (1st was 1:30:03) Crashed, concussion, hairline fracture of jaw, dont remember getting back on my bike let alone finishing! A story done by Investors Business Daily for their Leaders & Success section. 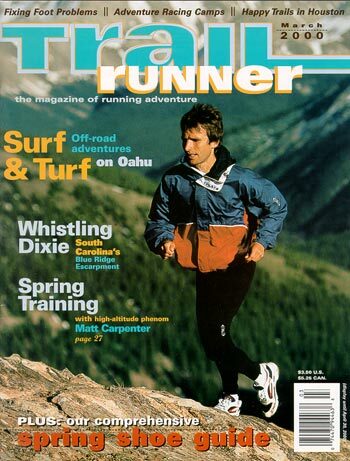 An interview I did with RW after winning the 2009 Teva Games 10K Spring Runoff trail race in Vail, Colorado. 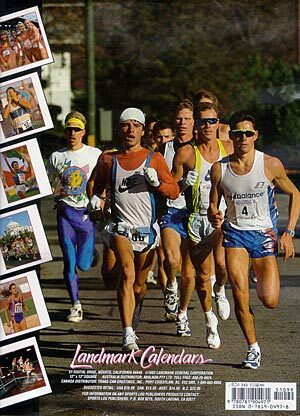 Pete Magill did an interview with me for his Younger Legs for Older Runners site. And while you never know what you are going to get when you do interviews he did an awesome job for an awesome site! The New York Times sent out a reporter one week, a photographer the next and a videographer on the third. This is the result. The Denver Post did a front page story on athletes over 40 who still break records and stereotypes. Story done by the Rocky Mountain News after I was selected as one of Colorados top 10 adventure athletes. An online interview with Runners World. An interview with the Colorado Springs Independent. A rather lengthy piece from Marathon & Beyond. 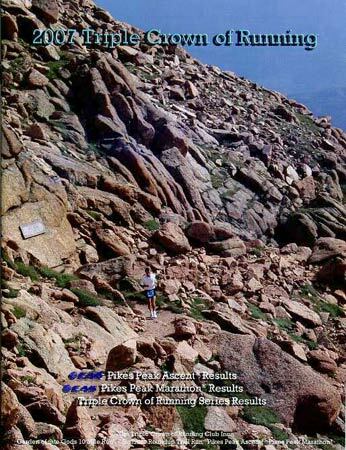 Pretty extensive coverage of the 2005 Leadville Trail 100 Mile race. 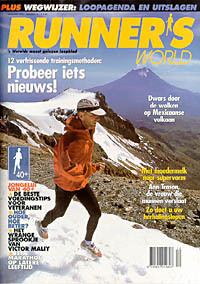 This is a lengthy piece done by Trail Runner magazine just before my daughter was born. It covers a lot of material including some stuff that generated quite a few letters to the editor. In fact, 6 months later they were still printing letters to the editor. This is an interview I did with KidsRunning.com about being a reader at an elementary school for Read Across America day. This is an interview I did with KidsRunning.com. Kids are the future of our sport so we need to support kids running! An online interview with Cool Running. Has a schedule of my training program. This was in Springs Style magazine which also had me on the cover. A story done after my 3rd win on Mt. Washington. An interveiw done on the van ride down after 1998 Mt. Washington Road Race for Cool Running. 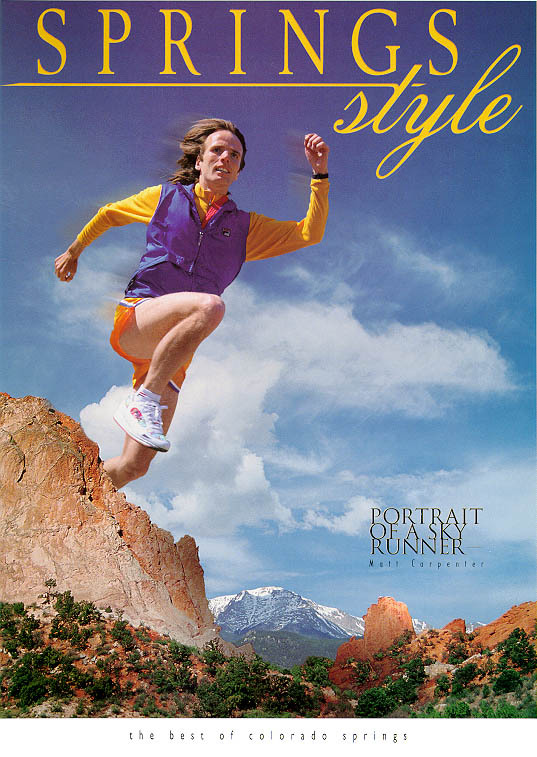 A piece on Skyrunning, this one by the Denver Post, has an intro about my first mountain race. A story by Rocky Mountain Sports Magazine. The Colorado Springs Gazette did this piece before the 1997 Pike Peak races. When the Colorado Springs Gazette asked what it was like to have really conquered the peak I let them know. A short piece by Outside Magazine after the 1995 Everest marathon. Outside Magazine really likes to talk up the air filter I wear on smoke filled airplanes and in polluted cities. Read SkyRunning in Tibet listed on my Running and Rambling page to get more on the air quality of some 3rd world countries.